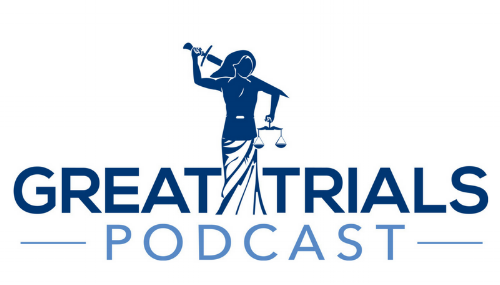 The Great Trials Podcast offers a series of laid-back, casual conversations with leading trial lawyers, taking listeners "behind the scenes" of America’s greatest trials. Listen to the Great Trials Podcast on Apple Podcasts, Spotify or Google Play! Like what you’RE hearING on Great Trials Podcast? Please be sure to rate and review us!